There is often much debate as to whether a daily cup of coffee is beneficial or harmful to health. As we revealed a few weeks ago, we are firmly on the side of “beneficial”. In fact we published an entire article revealing twelve reasons, backed up with scientific evidence, why you should start your day with a cup of coffee. 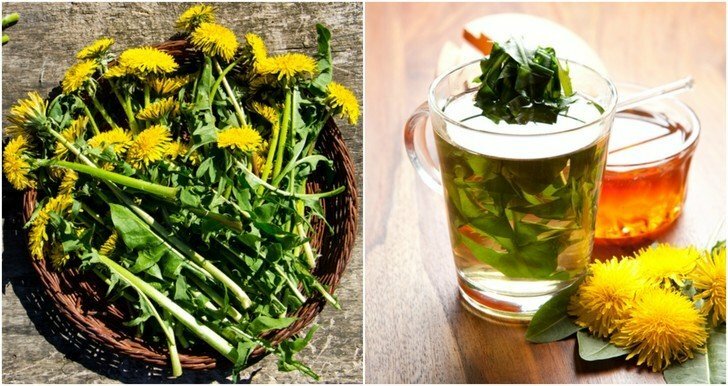 To name just a few: it increases metabolism, is packed with antioxidants, improves liver health, wards off neurodegenerative diseases and prolongs life. You can read the entire article here. But there are some clever ways to make your morning coffee even healthier. Last week we revealed how putting butter in your coffee has a whole host of health benefits, and in today’s article we explore seven more ways to pack in even more to your daily cup of java. Coconut oil is a super healthy oil and a fantastic alternative to conventional creamers. It is also a great plant-based option for those who don’t eat butter but like the concept of this creamy coffee. As with butter, coconut oil in your coffee keeps you full for longer, reduces caffeine sensitivity and increases energy levels thanks to its high levels of beneficial fats. Unlike butter, coconut oil contains lauric acid – a powerful killer of bacteria and viruses, which affords it so many beneficial effects, especially as a weight loss aid. Of course, because coconut oil is a source of saturated fats, using in moderation is recommended. Always be sure to opt for unrefined, virgin coconut oil. We all know that sugar is terrible for our health, but artificial sweeteners can be no better. Aspartame (Nutrisweet), commonly used in diet sodas, has been connected to over 90 unpleasant side effects, ranging from cancer and seizures to rashes and nausea. Sucralose (marketed as Splenda) is generally thought to be safer than aspartame, although recent research lists several health concerns like toxicity and heightened carcinogenic potential when used in cooking. 2008 research found it can upset the delicate balance of bacteria in the gut. While Stevia is a pretty healthy natural sweetener, once you get used to drinking your coffee plain you’ll really appreciate its flavor! Low-fat creamers might seem like a healthy choice but these are often highly processed and full of unnatural ingredients like high fructose corn syrup and trans fats. Organic foods are better for our health and our environment – and this is particularly true when it comes to coffee, one of the most chemical-laden crops. Conventional coffee farmers often apply up to 250 pounds of chemical fertilizers per acre and, as coffee is an imported good, the US do not have control over the type and quantity of pesticides used. Many of these pesticides are considered neurotoxins with some studies highlighting a strong link between pesticide exposure and Parkinson’s disease. What’s more, the International Agency for Research on Cancer (IARC) found that a key ingredient in hundreds of crop-control agents and weed killers is a ‘probable’ carcinogen. Believe it or not, how you prepare your coffee can matter almost as much as what you put into your coffee. For instance, single cup coffee makers are potentially harmful to the environment and our health. In tests, over 4 million colonies of harmful bacteria and mold were found in the water tanks of these machines and many show higher germ counts than bathroom sinks and dog toys! The pods used contain BPA – a known hormone disruptor, along with aluminum which has been linked to certain health concerns including Alzheimer’s Disease. A French Press, Aeropress or Chemex are all better alternatives to a pod-guzzling coffee machine. Timing can make or break the healthiness of your coffee habit. It should come as no surprise that regular daily caffeine intake is associated with disturbed sleep and daytime tiredness, according to a review of studies. But you may be surprised to learn just how long the caffeine can stay in your system. A 2012 study which looked at the impact of caffeine consumption at different times of day found that caffeine consumed up to six hours before bed can disrupt sleep. Therefore, it’s best to avoid coffee from 3pm onwards. If you’re particularly sensitive to caffeine you may want to switch over to herbal teas even earlier in the day. Cinnamon – a fantastic source of antioxidants which stabilizes blood sugar, suppresses appetite, improves attention span and memory, and reduces fat levels in the blood. Nutmeg – a rich source of manganese and a potent antibacterial. Cardamom – used in modern Ayurvedic medicine to enhance digestion, quell nausea and vomiting, sweeten the breath, and neutralize the stimulating effects of caffeine. Cocoa powder – unsweetened, organic cocoa is loaded with antioxidants that can protect the heart, lower blood pressure, safeguard the skin and prevent cognitive decline. Coconut Butter: How To Make It & Why You Should + 15 Ways To Use This Healthy & Delicious Treat!